I had every intention of writing an article this week somehow linking computers and Christmas however as the two really aren’t related in any way, shape or form I have once again given up on this idea and decided to do something completely different.Close to the end of the year I thought it might be handy to recap on some of the best links to free software that I have featured in Click in the past year. Firefox 2.0 – www.getfirefox.com – Fantastic web browser that is small, fast and secure – still beats Internet Explorer hands down in my opinion. Thunderbird – www.getthunderbird.com – A powerful e-mail client from the same people that released Firefox.Offers advanced junk mail blocking, anti-phishing protection. Skype – www.skype.co.uk – One of the most popular VOIP (Voice Over IP) programs, this application can be used to make free calls to other Skype users around the world. Google SketchUp – http://sketchup.google.com – 3D modelling used to be difficult and expensive but now thanks to Google it’s easy and free. Trillian – www.ceruleanstudios.com – This software allows you to communicate with friend over the Internet whether they use AIM, ICQ, MSN or Yahoo Messenger Instant Messaging (IM) software. Picasa – http://picasa.google.com – Googles very own photo organiser is handy for those that have a large number of digital photos on their machines.Can also be used to correct red-eye and apply a number of special effects and correction options. GIMP – http://gimp-win.sourceforge.net – I was very impressed earlier this year with this completely free image editing tool. EditPad Lite – www.editpadlite.com – Whilst applications like Microsoft Word are all well and good sometimes you just want something simple to make notes in and this alternative to Windows Notepad doesn’t disappoint. AVG – http://free.grisoft.com – This is my favourite virus checker and for those of you that keep sending me irate e-mails and letters saying that AVG is no longer free I can assure you it is – you’re just not reading the website carefully enough! CCleaner – www.ccleaner.com – A handy program for removing unwanted junk files, problems with the Windows Registry and so on from your computer. OpenOffice.org – www.openoffice.org – Although I do like Microsoft Office this version is completely free of charge whilst retaining most of its features. Windows Defender – www.microsoft.com – An absolute essential for all Windows XP machines.This is the official spyware removal tool from Microsoft. 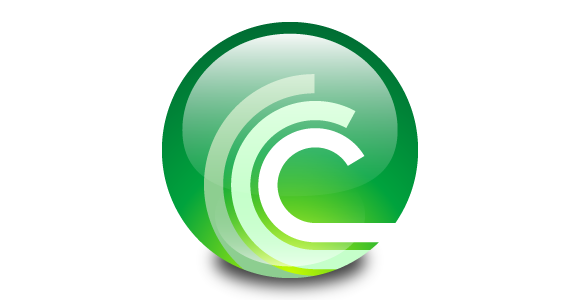 BitTorrent – www.bittorrent.com – Great for downloading videos, albums and so on off the Internet. Google Earth – http://earth.google.com – Many hours have I wasted on this program which fantastically lets you manipulate a 3D model of the Earth to view absolutely any area of the planet as if you were looking from Space. FreeUndelete – www.officerecovery.com/freeundelete – If like me you have ever accidentally deleted a file this program will give you a fighting chance of restoring it successfully. Rockstar Classics – www.rockstargames.com/classics/ – The best things in life are free and the same applies for this site which kindly offers the classic Grand Theft Auto 1 & 2 games as well as Wild Metal for free. DriveImage – www.runtime.org – I have never been a fan of backing up my PC but this utility makes the whole process pretty painless. Slax – www.slax.org – The perfect introduction to Linux; this program takes minutes to download and doesn’t even need to be installed on your PCs hard disk. There is plenty more fantastic free software out there so keep reading as I already have plans for several reviews in the New Year.All that’s left for me to do now is wish you all a very Merry Christmas and I look forward to joining you next week for my last article of 2006.